2005. 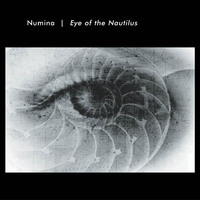 We are pleased to announce the second release by Numina on the Hypnos label, the follow-up to his acclaimed breakthrough Sanctuary of Dreams (2004). Eye of the Nautilus is similar to its predecessor tonally, but also explores some different themes and textures. Evocative electronic percussion is present at times, but overall the feel is one of deep-space ambience.